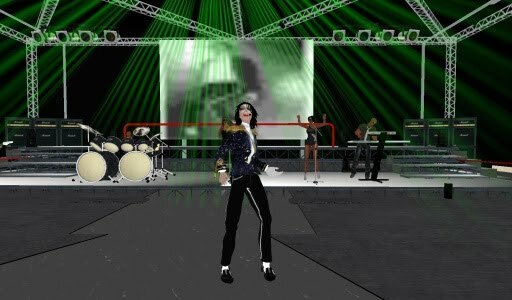 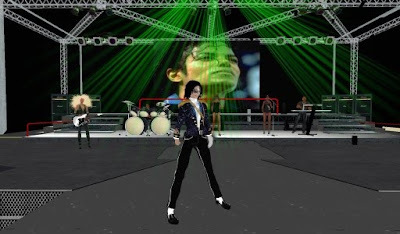 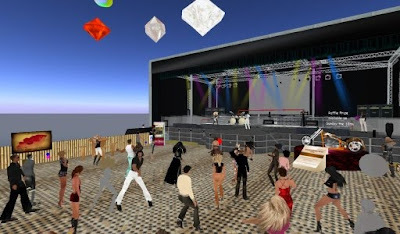 Michael Jackson tribute in SL for feed a smile was a huge success. 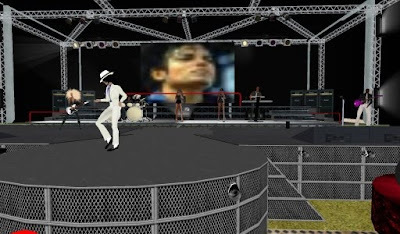 The crowd were in awe by the way this ava moved and how he looked, his (what I assume were) especially made animations for the concert were so correct to the music provided and it did bring a tear to my eye as I thought of the real MJ taken far too soon from us. 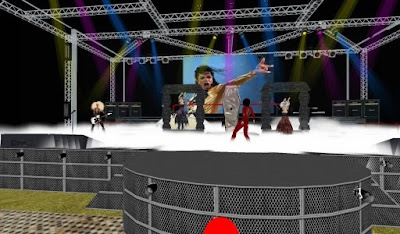 He had a full band, the guitarist had it down pat :-) and two backing singers/dancers, lighting effects and smoke machines were amazing along with some costume changes and I really recommend anyone who is a fan of MJ to see this show. The U2 show I can't comment on unfortunetly but it must have gone well because we couldn't tp to the sim as it was full but we saw some cool donations coming from that way. Below are some photos from the MJ concert.